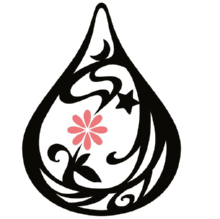 « ‘Kokkara Yappeshi!’ or let’s restart from scratch! 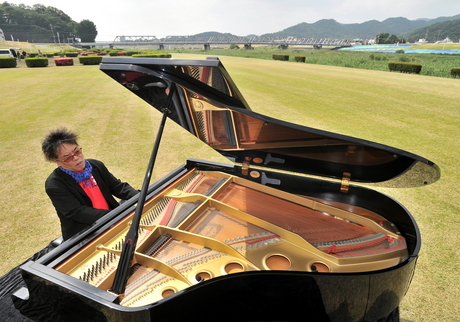 Fumio Itabash, a 62-year-old jazz pianist, who was born in Ashikaga-city, TOCHIGI, held a performance on the dry riverbed of the Watarase river on June 8th. The grand piano, which a closed elementary school had owned, was set on widespread grass, surrounded by the mountains, the wind, the birds’songs, the sound of trains, etc. He played some numbers, including his original tune “the Watarase”. Fumio Itabashi debuted as a member of Sadao Watanabe jazz quintet in 1971. This is his 40th anniversary as a professional jazz pianist. The DVD of this performance by the Watarase will be on sale this fall.